Observation - Willow Warbler - UK and Ireland. Description: Pale yellow supercrillum, olive green plumage on its back, dull brown from upper tail coverts to tail. Pale yellow underparts. 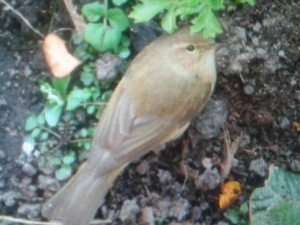 Pale yellow supercrillum, olive green plumage on its back, dull brown from upper tail coverts to tail. Pale yellow underparts.